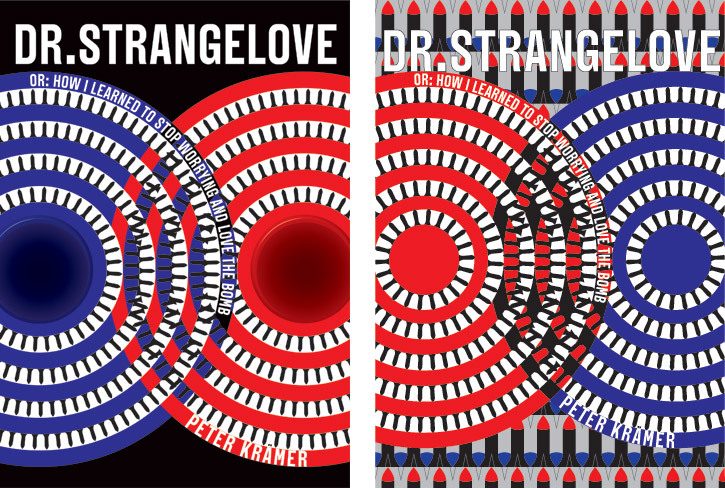 These are 2 designs for BFI Film Classics’ reissue of Dr. Strangelove. I preferred the crazier one on the right, but they went with the one on the left. Dr. Strangelove is a tale about the insanity of the cold war. 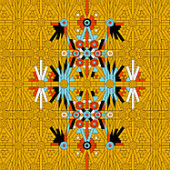 Stripped down to absolute simplicity, I decided to represent bombs pointing at each other as my main motif, with the madness of it represented in a maelstrom of all-out war. Plus two buttons, natch.